Chicken taco filling is a great pressure cooker chicken recipe to make for meal prep, because the meat is so versatile. Use it for tacos, burritos, taco salad, walking tacos, and so much more! It’s great to have taco meat in the freezer waiting to be used for a quick lunch or easy dinner. Since I was making the filling for Chicken Emapanadas, I decided to triple the recipe so I would have plenty to freeze. An Instant Pot is one of the most popular brands of electric pressure cookers. They are easy to use and your Instant Pot can help you create this delicious Chicken Taco Filling! 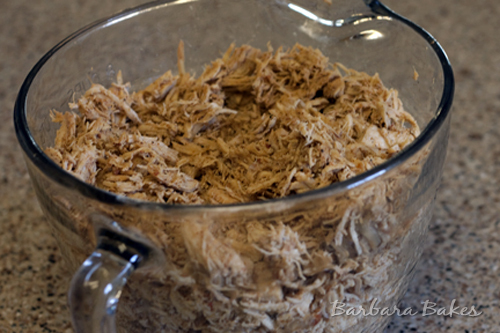 This is one of the quick and easy chicken recipes that I use for making chicken taco filling. I froze the chicken taco filling in 1/2 cup portions in quart size freezer Ziploc bags. The perfect amount for one individual serving. Heat the oil in pressure cooker pot for 2 to 3 minutes. Sauté the onion until tender, approximately 5 minutes. Add the chicken, tomatoes, chili powder, salt and pepper. Cover and lock lid in place. Select High Pressure and 12 - 15 minutes cook time (depending on how large your breasts are). When timer beeps, turn off and use a quick pressure release. *If using thawed chicken breasts reduce cook time a couple of minutes. I want to use Costco’s frozen thin cut boneless skinless chicken breasts in a 6qt instant pot duo. I’m super new to pressure cooking (I’ve only cooked soft boiled eggs this morning new). But planning to use this recipe tonight. My can of tomato is just diced tomato’s as I don’t have ones with chilies in the pantry right now. Other than that I was going to follow the recipe but not sure as to the number of breasts and the time to cook. I will be feeding a family of 4 tacos. Can you help me? Hi Julia – I’d try a cook time of 6 minutes with thin cut boneless skinless chicken breast (frozen or thawed). Maybe use 12 thin breasts in this recipe. Enjoy! I mentioned on Barbara Bakes that this recipe, while a hit with everyone else, didn’t make my mouth sing. I’m writing now to follow up and tell you how well the leftover sauce worked (with a little more chili powder and some cumin) for ground beef tacos. It adds a brightness that’s usually missing in ground beef tacos and was a welcome change from my usual homemade taco seasoning mix. So I’m calling this recipe a success! I’m planning to replicate it very soon with a chuck steak instead of the chicken. But I’ve got to say that your Chili Colorado is a tough act to follow. That one still blows me away every time. And I’ve yet to find a carnitas recipe to rival the one you posted almost 4 years ago. I’ve tried a few others (why do I even bother? ), but yours is still the best. Thanks! I’ll have to try it with a variety of meats too. I have a general question about cooking frozen boneless, skinless chicken breasts. The first recipe I made used frozen boneless, skinless chicken breasts. It called for quick release but the chicken was dry and tough. I notice that usually with meat a natural release is indicated. Can you please tell me in general what you think went wrong with my first recipe? I’ve been reluctant to use frozen chicken breasts since then. Thank you for your time. Hi Joann – generally if the chicken was dry and tough it was overcooked. If the chicken is in a liquid I generally haven’t found any detrimental effects from a quick release. But if you prefer to do a natural release, just reduce the cook time. How long the chicken breast takes to cook depends on the thickness of the breast. If your breast aren’t very thick, you’ll want to reduce the cook time for sure. Hi, I’m really new to this pressure cooking method but so far, so good. These recipes look delish!! I’ve just printed out 3 or 4 to try. Is there a chart or rule of thumb for cooking times/liquid needed for different types of meat (beef, chicken, pork)? My chuck roast came out perfect but the pork roast after about 45 mins was still tough. Thanks for your wonderful recipes! Hi Audrey – so glad to hear you’re enjoying my site. Was it a pork loin roast? They can be more difficult to get right in the pressure cooker. 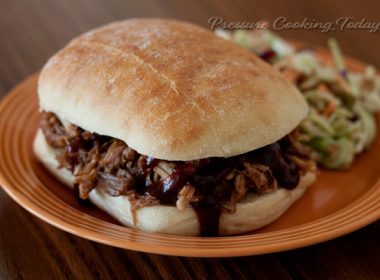 A pork shoulder is a great cut for the pressure cooker. If your manual didn’t have a cooking chart, Hip Pressure Cooking has some good charts. https://www.hippressurecooking.com/pressure-cooking-times/ However, I don’t find charts super helpful because the method you use to cook the meat, and the thickness of the meat make such a difference. I prefer to find a recipe and adapt it to the ingredients I want to use. 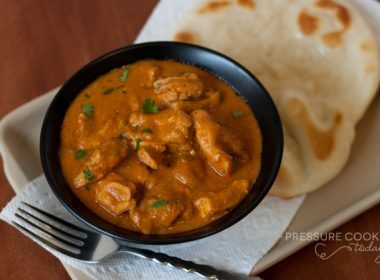 Here’s a post that may help as well http://www.pressurecookingtoday.com/how-to-convert-a-recipe-into-a-pressure-cooker-recipe/ Have fun! If I cut the recipe in half (3 chicken breasts) do I cut the time in half? Thanks Terri! No, as long as the thickness of the meat is the same, you don’t need to adjust the cook time when cutting a recipe in half. This was the first thing I made in my Instant Pot a few weeks ago. Best recipe ever and so simple and quick. I have it in my Instant Pot again right now. Family can’t wait to eat it again! I substituted Taco Seasoning for the Chili Powder and I added some corn too. I had to laugh out loud though because you said, “Select High Pressure and 12 – 15 minutes cook time (depending on how large your breasts are).” I thought…”Well, gee…in that case I probably only need like 5 minutes”. Ohhh, you mean how large the chicken breasts are. OK..got it. LOL! But seriously, this chicken taco meat is so juicy and delicious. Thank you! lol – your comment cracked me up and brightened my day. Thanks Tracy for letting me know it’s a big hit with your family. 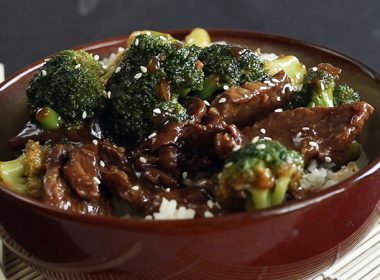 Have fun with your new Instant Pot. Can you answer a question for me? I’m using the Instant Pot Duo also. This recipe calls for no liquid except the juice from the tomato w/chilies. I see in some other recipes it calls for no less than 1 cup of liquid. This holds me back from converting my old recipes into pressure cooker ones. I either don’t use enough liquid to build up steam or too much liquid and everything turns into a soupy mess. Any tips or advice on how much liquid? Does tomato sauce count as a liquid? P.S. I’ve said it before, I love your site and recipes. It’s my Go To. Thank you Barbara! 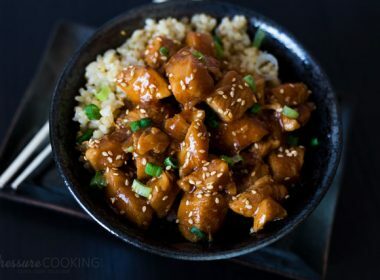 I am new to Instant Pot cooking and just getting a feel for how it works, and how to convert recipes. I’m printing out your advice to Todd and taping it up where I can see it. Now I feel so much more confident, thanks for your recipe! This is the first dish I made with my pressure cooker. I had pressure cooker for 8 months and finally tried it. My family loved the shredded chicken taco filling. The second meal I made was the pulled pork barbecue. Both meals were delicious. I look forward to trying more of your receipes. 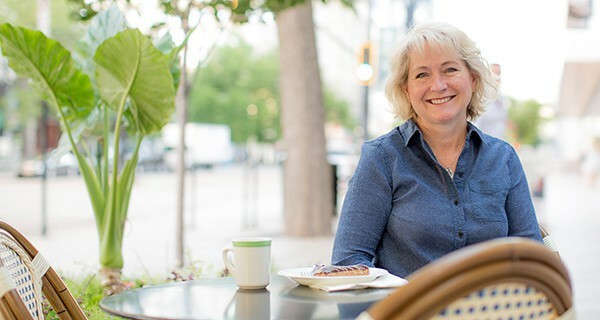 Hi Kathy – I’m so glad my recipes inspired you to get out your pressure cooker and start cooking. Thanks for letting me know your family loved the recipes. Have fun! Barbara, I just wanted to tell you, I made this a couple of weeks ago for chicken taco salad and it was great…It was a lot of chicken, so I froze half of it and pulled it out and used it to make off the charts the best shredded chicken sandwiches ever, we just reheated it in the microwave and then drained the extra liquid added a slice of reduced fat swiss cheese and put on a rosemary and olive oil Foldit….OMG! Loved It! 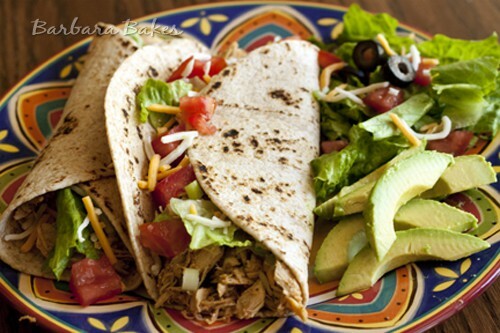 The absolute best shredded chicken sandwich we have ever had and so much healthier…..Thank you for a great recipe! A regular rotation from now on. Thanks Tina! Sounds like a great way to use the chicken. I’ll have to give it a try. Hi Barbara! 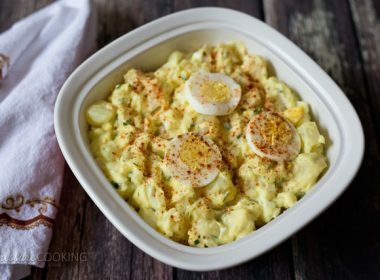 I am new to pressure cooking and I love your site!!! I think my favorite recipe so far has been the chicken sausage chili. Lately though I’ve been having some trouble with my electric Cuisinart, and I was wondering if you might have had a similar experience and solution. Sometimes when I use it steam just keeps leaking out of the float valve, and then starts to leak out of the side so it never gets to pressure. I had this problem yesterday when I was trying to make the black beans. Then today it worked fine for the coconut rice, but then started doing it again when I tried to make the taco filling. Do you have any idea what my problem might be/what I can do to fix it? It’s very new and the O-ring seems fine. Hi Bara – so glad you’re loving my site. Sorry you’re having trouble with your pressure cooker. Laura from Hip Pressure Cooking recently did a great troubleshooting guide http://www.hippressurecooking.com/infographic-the-pressure-cooker-trouble-shooter/ Hope that helps. Thanks, Barbara! They’ve been helping me figure it out through the forums. They also posted a great guide for beginners that shows how the process works and what you should expect along the way. Also I want to add that even though it took a little while longer to cook this chicken since I never got fully to pressure, it was delicious… and surprisingly mixed very well with the coconut rice and black beans. Hello Barbara…love your site! I have a problem question. I have a stove top Fagor 8Qt pressure cooker and when I made this dish, the bottom burned. :0) Is it because of not enough water? Did I not scrape the bottom before I closed it? Help!!?!? Thanks – so glad you like my site. Yes, you probably do need more water with an 8 qt. stove top pressure cooker. It will take longer to come to pressure than a 6 qt. Also, be sure you turn down your heat to the minimum needed to maintain pressure. Hope you were still able to enjoy the taco meat. When reading Diane’s blog (linked by you) she did 6 lbs of breasts in 12 minutes not counting coming to pressure time, but she didn’t say they were frozen. This recipe says 6 large FROZEN breasts 12 minutes and 5-6 minutes if not frozen. I’m a bit confused or have I read something wrong. One is 6 lbs unfrozen for 12 minutes and the other is 6 large frozen for 12 minutes. HI Sybil – Diane cooks her breasts with 4 cups of water so she can also get chicken stock for her meals. So with the added liquid and the additional chicken, it will require a longer cook time. You don’t want to over cook boneless, skinless chicken breasts, or they get dried out, even in the moist environment of the pressure cooker. So if you’re unsure of the cook time with chicken, cook it for less time than you think it will take. Let the pressure release for 10 minutes and check the temperature with an instant read thermometer. It should be 165°. If it’s not at temperature, it’s easy to lock the lid in place and cook it for a minute or two more. Since the food is already hot, it comes to pressure really quickly. Thank you for your reply. It’s good to talk to someone who knows about pressure cooking since I’m fairly new to it. I didn’t realize it’s not just about frozen vs. fresh but that the amount of liquid is also a factor. I guess I’ll do some trial with hopefully not too much error. I’m sure you’ll get it without much error. Have fun! Sybil – I just made another batch to check the timing. Four of six frozen chicken breasts were cooking to at least 165° after 12 minutes. Two extra large breasts need two minutes more. Hope that helps. Have fun! Thanks again. Can’t wait to try it! May I ask if the chicken breasts are bone-in or boneless? Thank you. Hi MJ – boneless, skinless chicken breasts. I’ve updated the recipe. Thanks! Is this recipe for an electric pressure cooker, I have the Instant pot DUO 6 qt. I’m just asking because of the amount of liquid. I’m assuming the frozen chicken will add liquid as well though along with the can of diced tomatoes and chilies. It sure looks good! I had a recipe here I had found earlier on for crock pot, it consisted of taco seasoning, pkg., frozen chicken breasts and a 16 oz. jar of Salsa. I wasn’t sure about doing this either in my Instant pot pressure cooker. 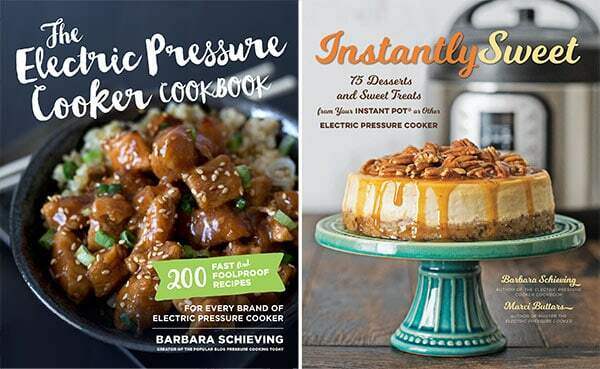 Hi Dianna – yes, all my recipes are created using the electric pressure cooker, usually the Instant Pot Duo.